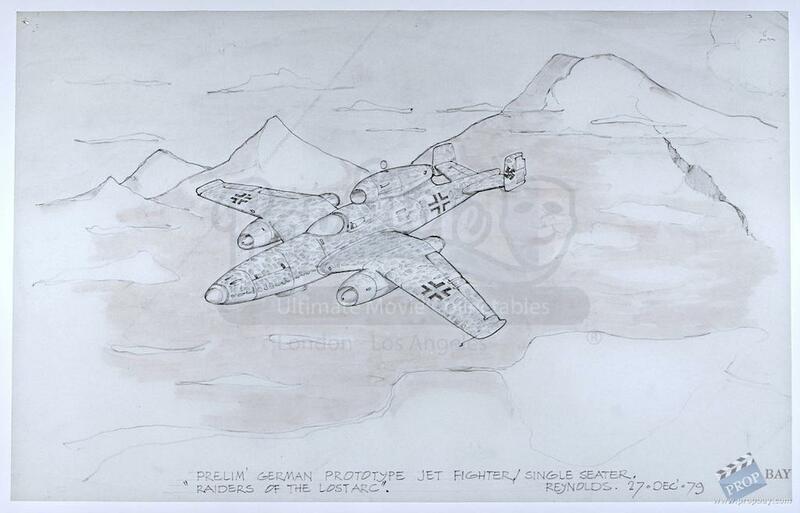 An Original Norman Reynolds Jet Fighter Concept Sketch from Steven Spielberg’s 1981 adventure film, Raiders of the Lost Ark. 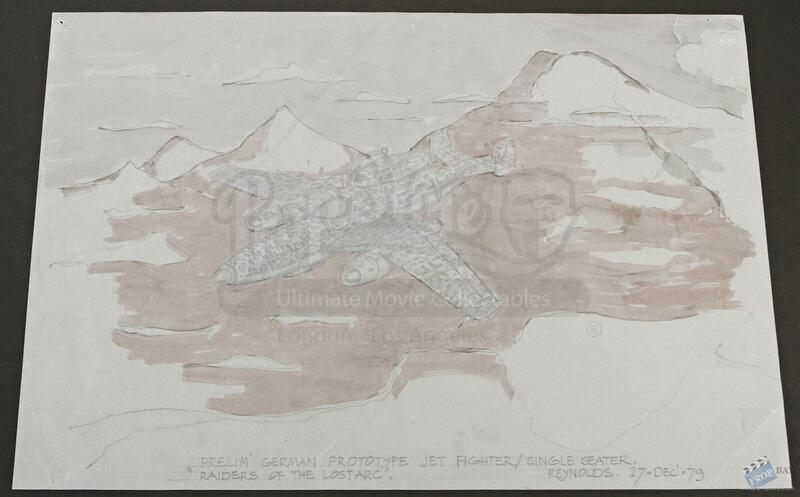 This jet sketch was created by Norman Reynolds, the Production Designer for the film, whose work on the film ultimately won him an Academy Award and BAFTA in Art Direction. 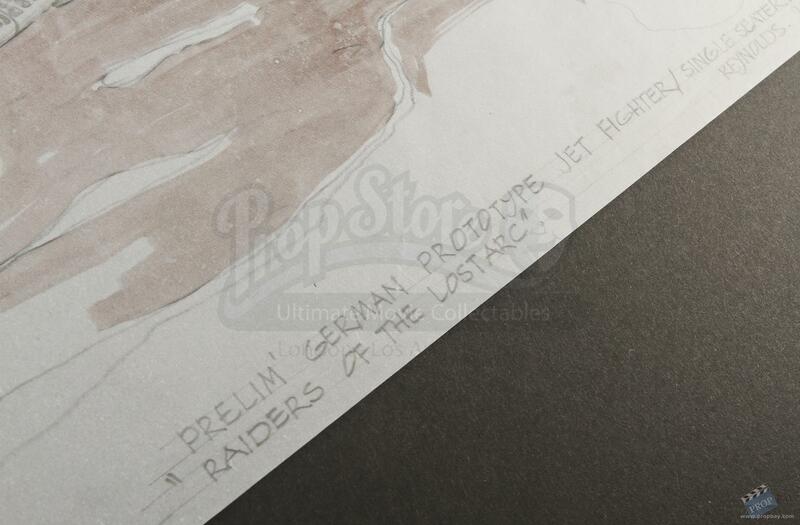 The sketch depicts a concept for a “German Prototype Jet Fighter” which was originally featured alongside the flying wing in the classic battle sequence, but was later cut from the film. 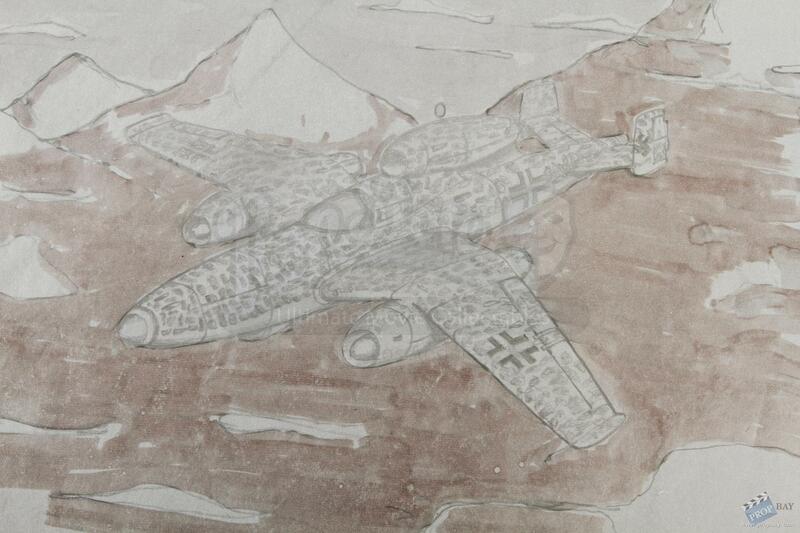 The sketch was produced on vellum paper in pencil and brown inks. 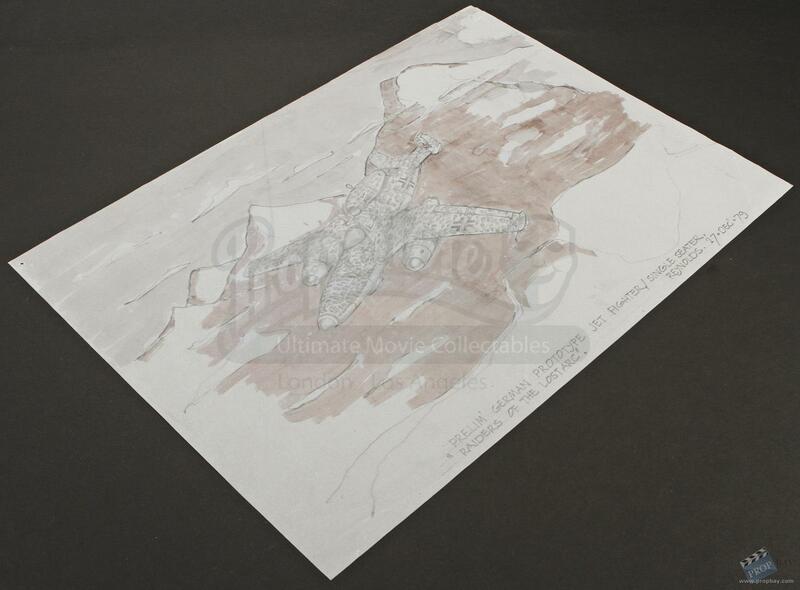 The piece is titled and signed by Reynolds and dated December 27, 1979. Added: 05-12-2014 - Viewed: 1535 times.